Move over paper meal vouchers. For the first time in India, Zeta, the newest portfolio company of the Directi Group, has come up with Zeta Meal Vouchers, a mobile-based meal voucher platform. This will provide HR managers with an instant one-click distribution platform to employees across cities. A simple desktop interface will help the HR managers to initiate transfer of meal vouchers to employees at one go. Employees will receive these vouchers on their smartphones and start using them instantly. The vouchers can be used across any outlet for purchasing food and non-alcoholic beverages - irrespective of whether the outlet is a Zeta affiliated partner or not. The Zeta app is supported on Android, Windows and iOS platforms currently. 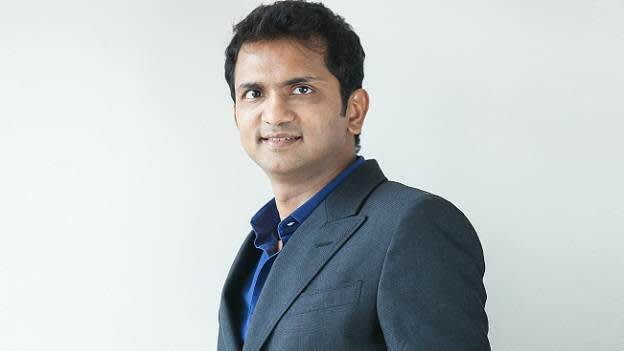 People Matters spoke to Bhavin Turakhia, co-founder and CEO Zeta to know about the idea behind coming up with an e-meal voucher. What is the idea behind digitization of meal vouchers? At Zeta, we believe that like cash, money in digital form should not lose its value in exchange. Zeta Meal Vouchers will help achieve this. We have the lowest service charge for retailers when compared to other similar solutions in the market. Hence, merchants too are happy to accept Zeta Meal Vouchers. How do you make the industry realize the importance of digitized meal vouchers, and how do you intend to rope in companies who are already using other popular vouchers? To start off, we have organised a series of knowledge sessions called Disrupt HR across multiple cities where we have showcased the product to several Corporates. To create a real-time experience for the participants at these sessions, we organised a special experience zone wherein people attending these sessions can experience how easy it is to use and distribute Zeta Meal Vouchers. The initial responses have been very encouraging as many corporates are loving the experience, especially since it takes away all their woes of distribution. We are in discussions with a lot of companies to run pilots at their workspaces. How does it enhance or ease the job of an HR manager? With Zeta, HR Managers can easily distribute vouchers digitally to employees without wasting time or resources. This solution also eliminates the problem of storage of vouchers until employees have collected them. Instant Distribution: Send meal vouchers instantly, in just a few clicks, to all your employees across cities. HR managers will love the experience of quick distribution without counting paper vouchers or spending time distributing them. 100% Compliant: Zeta is fully compliant with both RBI and Income Tax norms. These meal vouchers are issued under the Policy Guidelines on Issuance and Operation of Pre-paid Payment Instruments in India, as updated in December 2014. Zero Investment: Corporates won’t have to invest in any capital expenditure to incorporate Zeta into their compensation and benefits system. There is also no cost on distribution logistics. No Storage: Storing paper vouchers with you, until your employees collect them, is like storing bundles of cash. With Zeta, you can now do away with this hassle because these vouchers are generated and transferred electronically. Completely secure: Zeta is an extremely secure system. It is an independent app and does not interfere with your company’s data security. Even employees cannot use the app for any fraudulent activities. Go Green: Go paperless and usher in a greener world. Thousands of trees are sacrificed every year at the altar of paper voucher manufacturing. Join the Zeta revolution, go digital and help save trees. Why the name Zeta -- what was the thought behind this? We wanted a simple name that will stick in the minds of our users. Something that is easy to recall. So that’s why we decided to go with Zeta.